Developed by combining time-proven methods and leading-edge technologies to help tap into your own power. A first of its kind study from the Center for BrainHealth at The University of Texas at Dallas, published in the Journal of Affective Disorders, demonstrates that 70% of our thoughts are negative. 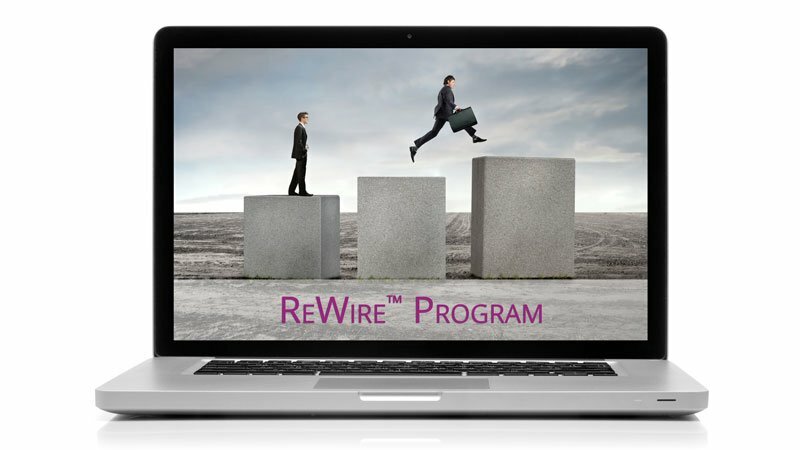 Using the HealThruWords® method, the ReWire™Program is dedicated to empowering Leaders and Individuals through the science-proven principles of Heartfulness offered to business owners, executives, corporate leaders, individuals and teams working in stressful and high-performance environments. What I learned with you is going to help me become a more conscious leader! HealThruWords® wakes you up to a whole new reality through the power of positive words. Developed by our founder to help you empower yourself and become a more conscious leader and individual. A proven track record of superior executive coaching and brilliant results. Offers 365 positive daily reminders creating a solid foundation for positivity and success. Receive daily doses of positivity having a cumulative effect that in turn create a solid foundation for happiness. Learn to distinguish between negative and positive self-talk and gradually transform mental blockages into new perspectives. Become more mindful and aware of the Positive ReEvolution moment: the source of all happiness and success. HealThruWords® has reminded me daily to simply live… life to the fullest. To allow myself to simply learn and grow and to continue to inspire others to do the same.